As a rule of thumb, I try to stay away from the sub-$5 category when it comes to cheap stocks. After all, companies don’t go public with a share price below $5. Thus, if a stock is trading below $5, that means investors have sold it off to be below $5. That usually means there is something really wrong with the underlying growth story, the valuation, or both. For this reason, finding a winner in the sub-$5 group is like finding a needle in a haystack. But if you find that needle, you could be looking at huge gains. After all, once upon a time in 2001, Amazon.com, Inc. (NASDAQ:AMZN) was basically a $5 stock. I’m not saying you’ll find the next Amazon in the sub-$5 group, but you could find a stock will go up 2-5x or more in a hurry. With that in mind, here is a list of 5 cheap stocks under $5. Bladex (NYSE:BLX), or Foreign Trade Bank of Latin America, based in Panama City, serves as a special purpose bank. The bank works to facilitate trade and business relationships between Latin America and the Caribbean. Its commercial sector accounts for most of its activities and generates most of the institution’s income. Its treasury sector handles funding, liquidity, and investment management. Operating in Panama also creates a unique advantage. Since the Republic of Panama uses the United States dollar, it also enjoys the credibility that comes with conducting business in the world’s reserve currency. Hence, dividends remain the compelling reason to invest in BLX stock. While dividend levels saw some fluctuations in past years, the company has held its annual dividend to the $1.54 per share level since 2016. This roughly translates into its 6.1% yield. Moreover, if profit growth predictions hold, consensus 2018 earnings of $2.12 per share should cover the dividend. Also, if the company meets 2019 profit forecasts of $2.46 per share, a dividend increase for 2019 remains a possibility. With the advantages of operating in Panama and the stability of its income, the BLX stock dividend remains a safe bet for a high dividend return. I’m not a big traveler but my wife is, and whenever she’s on the road for work she stays at a Marriott International Inc (NYSE:MAR), usually at a Courtyard Marriott when in the U.S. and Delta when in Canada. She’s excited about the upcoming merger of Marriott Rewards with Starwood’s loyalty program which gives her a greater option of places to stay for work. Traveling as much as she does, it’s essential to have an excellent hotel to return to at night. 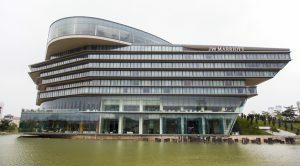 Marriott is continuously opening new hotels. Its pipeline is massive. As of the end of the first quarter, it had 465,000 rooms either under construction or soon to be with 49% in North America, 30% in Asia, and the rest in other parts of the world with 82% of them, upscale or above. Back in 2013, I wrote about its new Moxy brand. It now has ten Moxy Hotels open in the U.S. with another 14 on the way — and that’s just one of its many brands. Long-term, this is a hotel stock you want to own. UnitedHealth Group (NYSE:UNH) is the largest single health carrier in the United States. It serves more than 85 million people worldwide and is a parent company to six businesses, including UnitedHealthcare — health insurance that offers policies to businesses and individuals, including Medicare and Medicaid policies. Its other main branch, Optum, administers everything from mental health and substance-abuse programs to mail-order pharmaceuticals. While many drug store stocks were rocked by the news that Amazon has now entered the pharmacy business, UNH has been relatively undisturbed because of its integrated strategy. Looking ahead to full-year 2018, the healthcare giant is targeting adjusted earnings between $12.30 and $12.60 per share, which is a 22% to 25% year-over-year increase and up from its previous guidance of $10.55 to $10.85 per share. Additionally, cash flows from operations are expected to be in a range between $15 billion and $15.5 billion, and UnitedHealth Group is calling for total revenues between $223 billion and $225 billion. 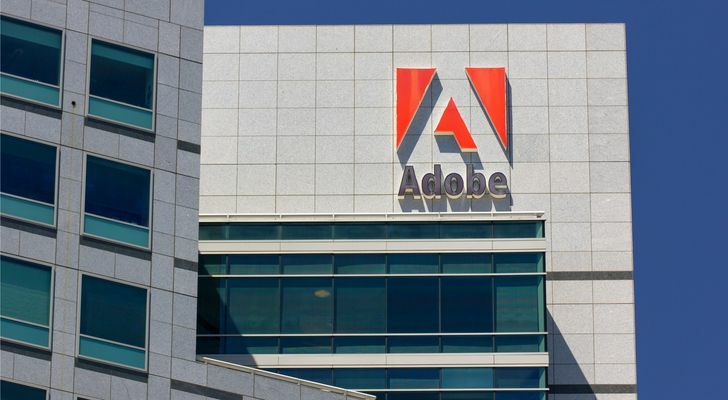 The story at Adobe (NASDAQ:ADBE) is a faster-growing version of that of Microsoft (NASDAQ:MSFT). In both cases, the shift from “on-premise” software to cloud-based offerings hasn’t just been a case of selling the same product in a different medium. Rather, the move to the cloud has opened up new cross-selling and revenue opportunities … and benefited margins as well. Indeed, Adobe’s fantastic growth story often seems a bit lost in the shuffle in terms of tech coverage, despite a $120 billion market capitalization and hugely impressive performance. In fiscal Q2, revenue rose 24% and EPS jumped an impressive 77% year-over-year. Adobe once again beat analyst estimates; it hasn’t missed consensus on either revenue or EPS since September 2014. Valuation is a bit of a concern, as Lango pointed out after the fiscal Q2 report. But a 31x forward EPS multiple isn’t that oppressive in the context of recent growth, and a pullback since earnings has brought the valuation in a bit. Investors are still paying up for ADBE, but at least they’re paying up for quality. Shopify is an e-commerce platform company that helps businesses of all sizes run their own online store and sell products via social media and through platforms including Amazon.com. When it comes to growth stocks, it doesn’t get much better than Shopify. About 600,000 merchants are now using its platform, up from 243,000 just two years ago. And in the fourth quarter of 2017, Shopify’s sales were boosted by 71% year over year. The growth has been sparked in part by its ability to bring bigger (read: more lucrative) companies onto its platform. Shopify ended 2017 with 3,600 high-end Plus customers, including huge companies like Cummins and Ford. Shopify Plus customers pay a premium for the company’s services and these sales are helping to boost Shopify’s monthly recurring revenue (MRR). MRR from Shopify Plus now makes up 21% of total sales, up from 17% in the year-ago quarter. But wait, there’s more. Not only are sales booming, but the company’s gross merchandise volume (the value of the transactions processed on its platform) jumped 71% in 2017. Management expects full-year 2018 sales to be $980 million at the midpoint, which would be a 45% increase from 2017. Similarly, the sales estimate for first-quarter 2018 is $198 million to $202 million, which would be a nearly 57% year-over-year increase at the midpoint. Shopify’s share price has jumped about 60% over the past year, and while it’s experienced some volatility, there’s likely more room for this company to run. That’s because the online shopping market is still booming and is expected to climb from $385 billion in 2016 to $632 billion by 2020. Investors should know that Shopify’s shares aren’t cheap and its stock price is likely to see more dips and pops ahead. But this company is quickly building out its own niche in the e-commerce market and has proved that it knows how to add customers both big and small. If Shopify continues at this pace, stable profitability shouldn’t be far behind. This entry was posted in Energy Stocks and tagged ADBE, BLX, MAR, SHOP, UNH on June 30, 2018 by admin. Some companies take a Field of Dreams approach, hoping that if they build, customers will respond. That’s not the case with most energy infrastructure companies. They refuse to put shovels into the ground unless they’ve already received significant customer support in the form of long-term, take-or-pay contracts that guarantee a steady stream of cash flow as soon as an asset enters service. While those customer commitments were hard to come by over the past few years due to the turbulence in the oil market, energy companies are beginning to grow more optimistic about the future. Because of that, Phillips 66 Partners (NYSE:PSXP) and several other partners were able to secure the necessary commitments to move forward with the Gray Oak Pipeline, which will transport oil out of the fast-growing Permian Basin. That project will enable these companies to generate more income, likely allowing them to boost their already above-average payouts. Like most utilities, AES Corp shares have been under pressure for some months in a rising interest rate environment. However, AES has bounced back sharply after hitting 52-week lows in February — the stock is up nearly 14% from the low point, as of this writing, and is yielding a solid 4.6%. If you believe clean and green is the future of energy, this dividend stock deserves your attention right away. To be fair, AES doesn’t really have a dividend history, as it started paying a dividend only in 2013. However, AES’ annual dividend has tripled in absolute terms since, having grown at a jaw-dropping compound rate of nearly 32% between 2013 and 2017. Clearly, AES loves rewarding its shareholders with dividends, and there’s more in store: AES is committed to growing its adjusted earnings per share and free cash flow by 8%-10% through 2020. What excites me more is that AES is in a transformational phase, restructuring its portfolio and cleaning up its balance sheet to unlock greater value from its assets, which are now worth nearly $33 billion. For example, AES raised $1.05 billion in proceeds from the sale of non-core assets, primarily coal-fired plants, in March. The company used the entire proceeds to pare down debt, thereby winning a ratings upgrade to BB+ from credit rating agency S&P Global Ratings. AES’ aggressive efforts to expand its renewable energy portfolio even as it strengthens its financials make it one of my top utility dividend picks for now. Shopify — a platform for merchants to create an e-commerce operation — benefits from both high switching costs and the network effect. As with Axon, those who use Shopify’s platform would be loath to switch away from it. Once a vendor has all of its data hosted on a single site, it’s an enormous headache to migrate all of that data. Equally important, Shopify allows third-party app developers to build services on its platform. Because Shopify has over 500,000 merchants, app developers flock to the site, which makes the platform even more valuable for potential merchants. 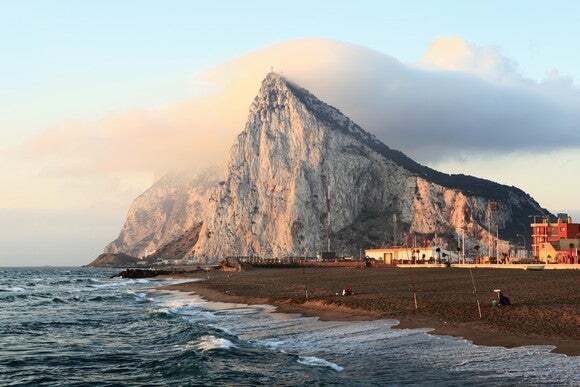 Prudential Financial (NYSE:PRU) takes such pride in its rock-solid financial condition that it uses an actual rock — the Rock of Gibraltar — as its corporate symbol. Prudential Financial backs up that claim with a balance sheet that has more cash, cash equivalents, and short-term investments than total debt on it. It also claims a debt-to-equity ratio around 0.6 and a current ratio around 1.0 , which are further signs of a solid financial condition. Despite that incredible stability, Prudential Financial trades at a bargain-basement price. Its shares trade at less than 0.9 times its book value and at a single-digit price-to-earnings ratio whether you consider its trailing earnings or its forward-looking anticipated earnings. With earnings expected to grow by over 10% annualized over the next five years, that’s an incredible bargain for a very solid company. On top of that value and growth potential, Prudential Financial pays a solid dividend with a 3.4% yield that only represents around 17% of its earnings. Of course, the insurance industry often goes through periods of earnings contractions since the risks they insure aren’t always predictable. Still, with such a reasonable payout ratio and solid balance sheet, investors have a strong chance at both dividend income and growth over time. Baldwin & Lyons Inc (NASDAQ:BWINA,NASDAQ:BWINB) is an under-the-radar insurer focused mostly on the commercial transportation space. FedEx Corporation (NYSE:FDX) is the company’s key customer, part of B&L’s focus on the trucking industry. BWINB has been a consistent dividend payer over time, even if dividend growth has been relatively muted. But a 4.8% yield is attractive in any market. BWINB also trades at a nice discount to book value: price-book is 0.85x at the moment, near its lowest levels this decade. Long-term, there is potential disruption from self-driving trucks — though such a risk appears at least a decade off (and those vehicles will not be foolproof). The reliance on FDX raises a risk as well. But B&L has been an industry specialist since 1930 — and has been through all sorts of changes in its industry. With a cheap price, a rock-solid balance sheet, and a strong dividend, investors can own that expertise at an attractive valuation. This entry was posted in Top Stocks and tagged AES, BWINA, PRU, SHOP on June 28, 2018 by admin.